Saturday was the final day of an exceptionally beautiful June. The Kelham waterways burst with life and colour and the mid-morning sun warmed the bricks of our iconic chimney. Clear blue skies over the island had us in the mood for some good old fashioned romance. 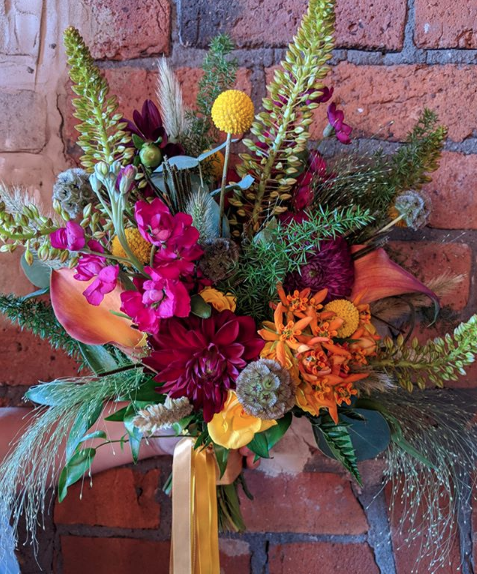 It was a total delight to host Anna and Jamie’s beautiful day. Anna - Birdhouse Tea aficionado adores all things leafy and Jamie - an Antiques Auctioneer has a keen eye for authentic finds, especially ones that have a story to tell. 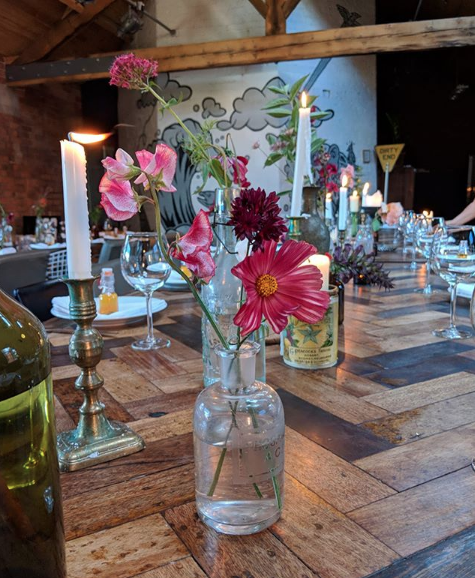 After taking their time to find the right venue, this style savvy pair fell in love with The Chimney House at first sight. The day started with an intimate ceremony at Sheffield Town Hall, before their guests boarded a beautiful old classic bus (borrowed from the transport museum!) and headed down to the Island. The newlyweds were greeted from their VW split screen with a glass of fizz and a healthy dusting of confetti, courtesy of elated friends and family! 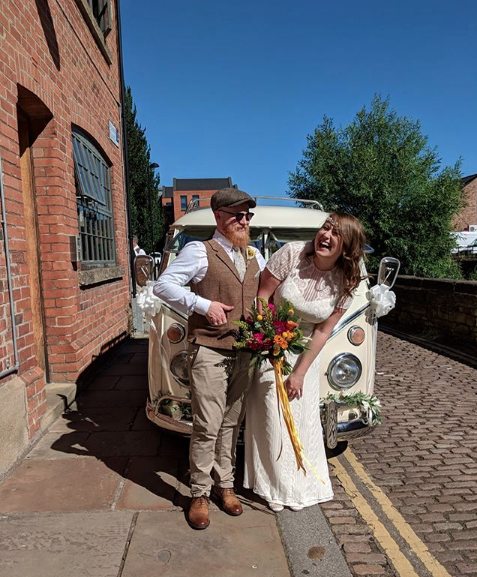 Whisked off for a couple of snaps in their wedding day finery by Ellie Grace Photography, they strolled by the river, over the bridge and found some beautiful Kelham doorways as the light dropped to dusk, capturing a perfect day. Anna and Jamie share a mutual love of Roald Dahl’s ‘Fantastic Mr. Fox’, of the Wes Anderson variety. We saw beautiful small details and a nod to their favourite childhood tale throughout the day. 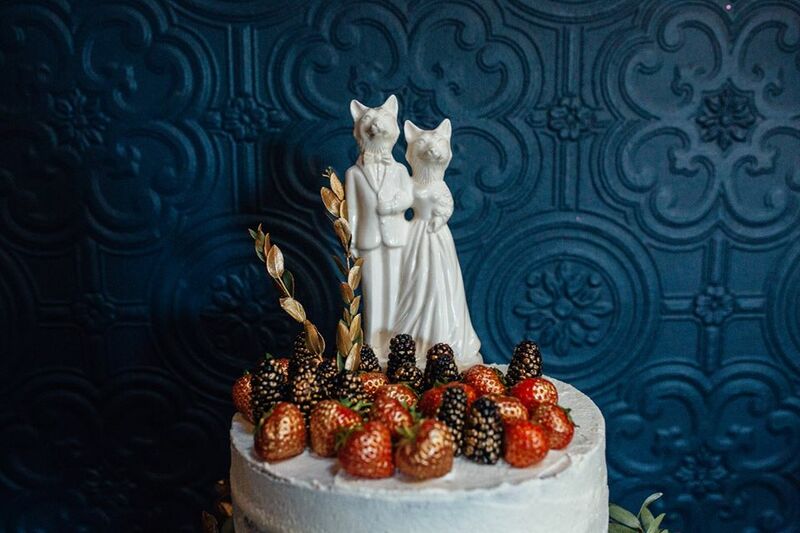 From a beautifully illustrated table plan, homemade ‘Fantastic Mr & Mrs Ferris - Wedding Whisky” favours in the teeniest kilner jars, the most beautiful wild flower bouquet to a gorgeous cake topped with summer berries and a couple of familiar foxy faces! 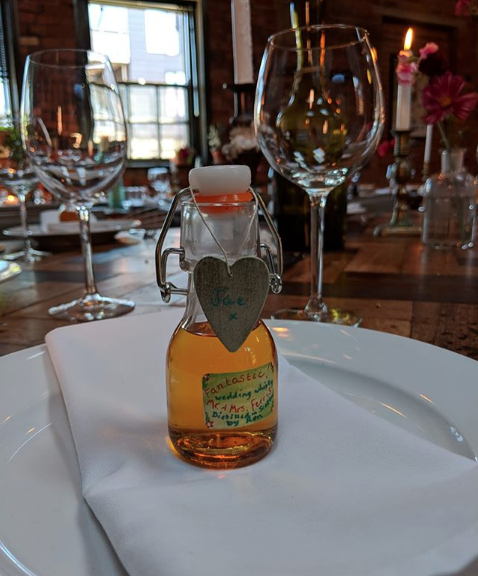 Guests took their seats in fine spirits to an early evening Yorkshire feast of delicious proportions! 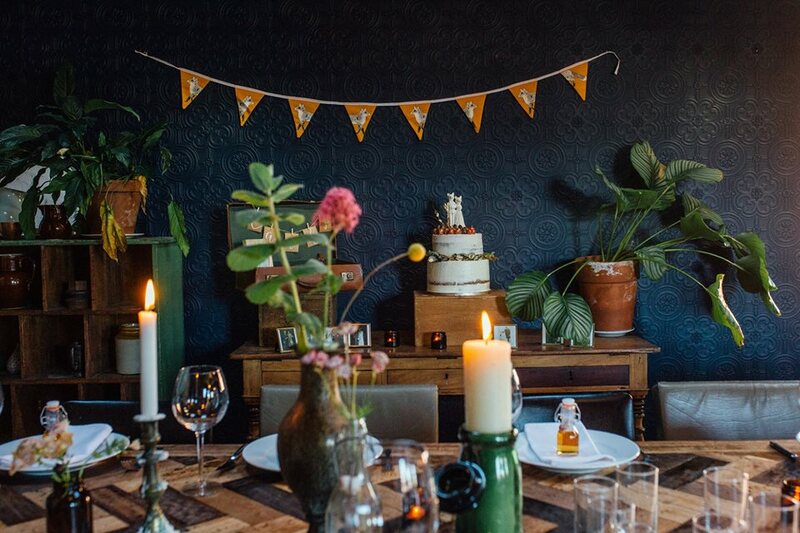 Our beautiful little cake table at it’s most beautiful, adorned with photographs of Parents and Grandparents on their wedding days, a treasured antique leather suitcase for cards and of course, the most stunning vegan cake by The Bake Lab. It’s such a pleasure catching a glimpse of these really precious moments on a day like Saturday. Filled with love, family, friends and great vibes all round. Thanks to Anna & Jamie for sharing their beautiful day with us and all the best for a wonderful future together.